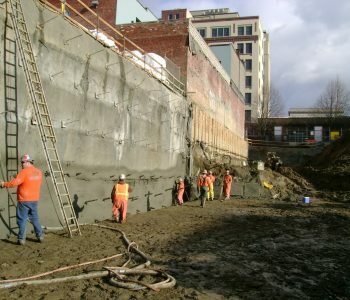 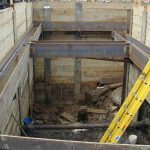 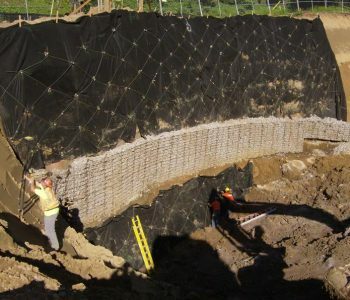 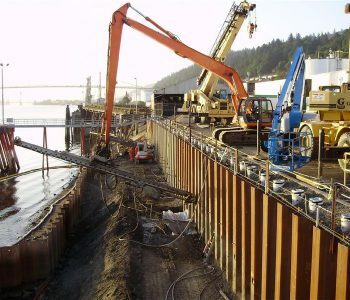 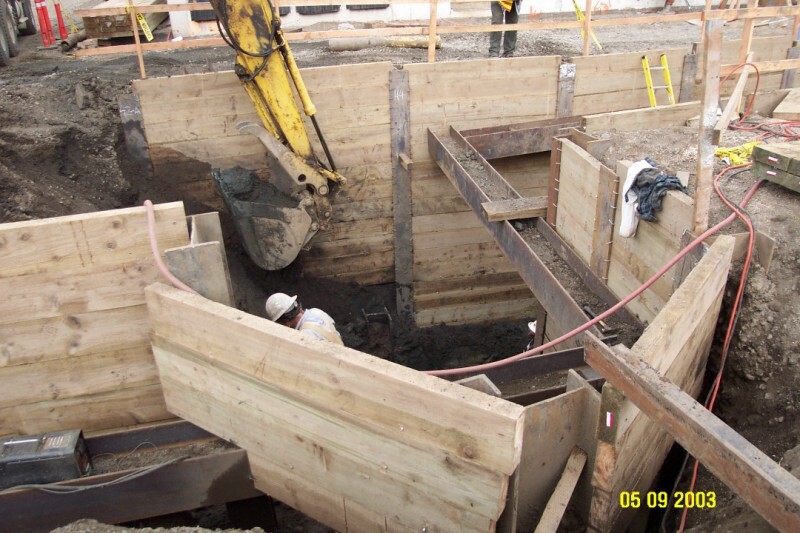 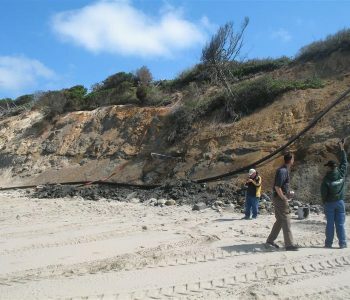 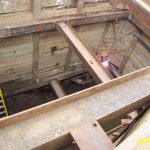 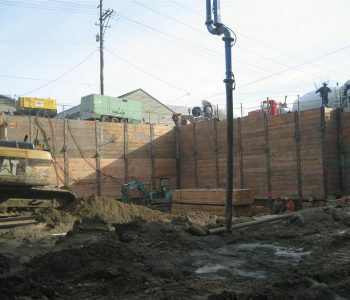 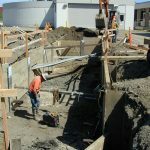 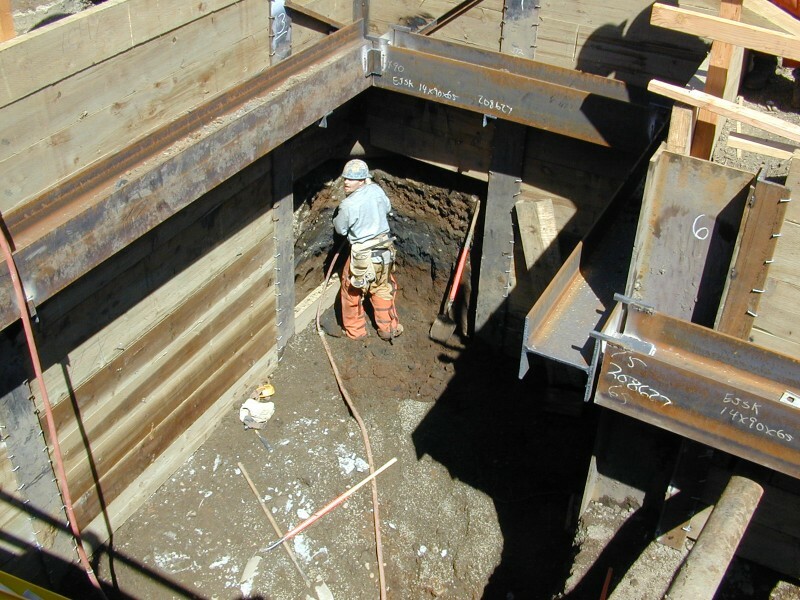 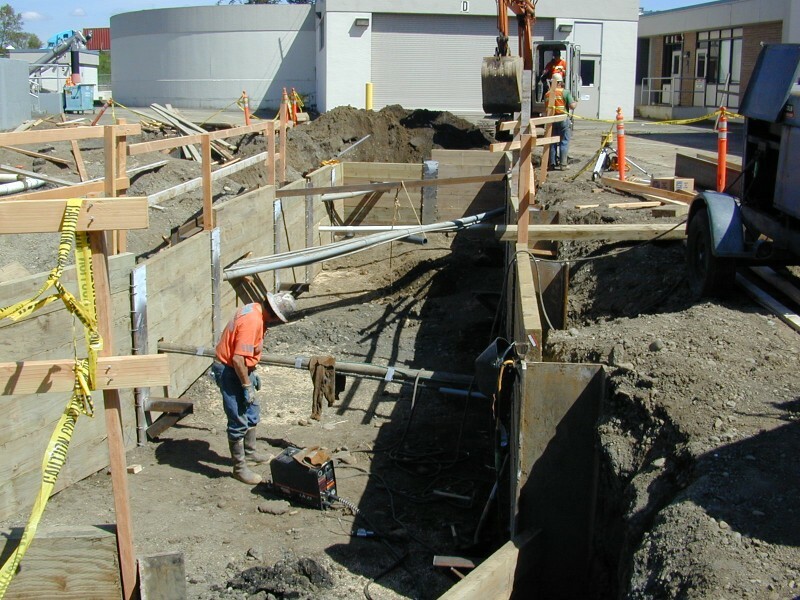 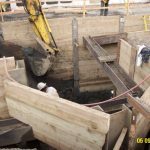 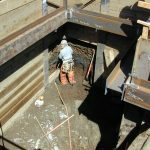 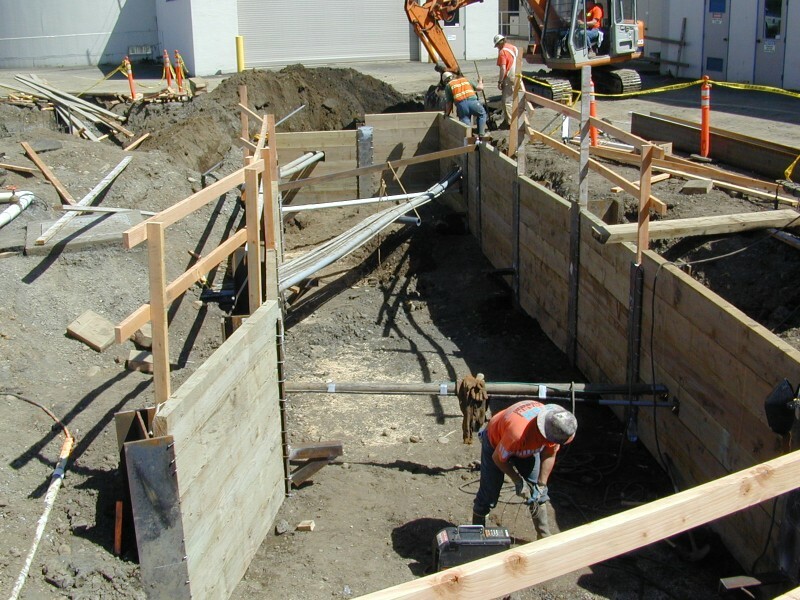 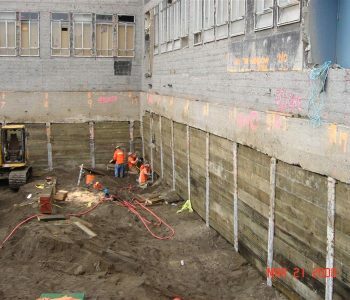 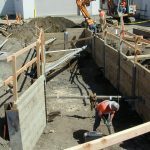 TBH designed and installed shoring for a pump station, and 36″ sewer to 39′ deep in extremely soft, saturated silts over gravels. 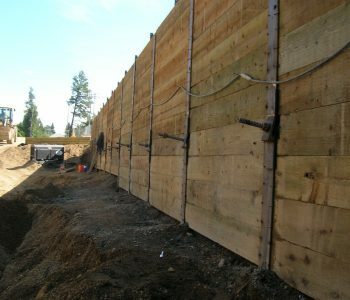 Soldier pile with timber lagging, tiebacks and struts. 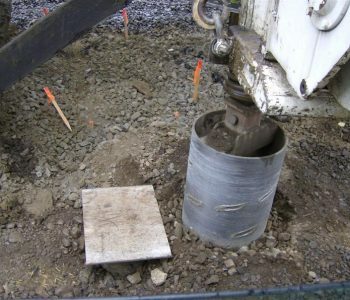 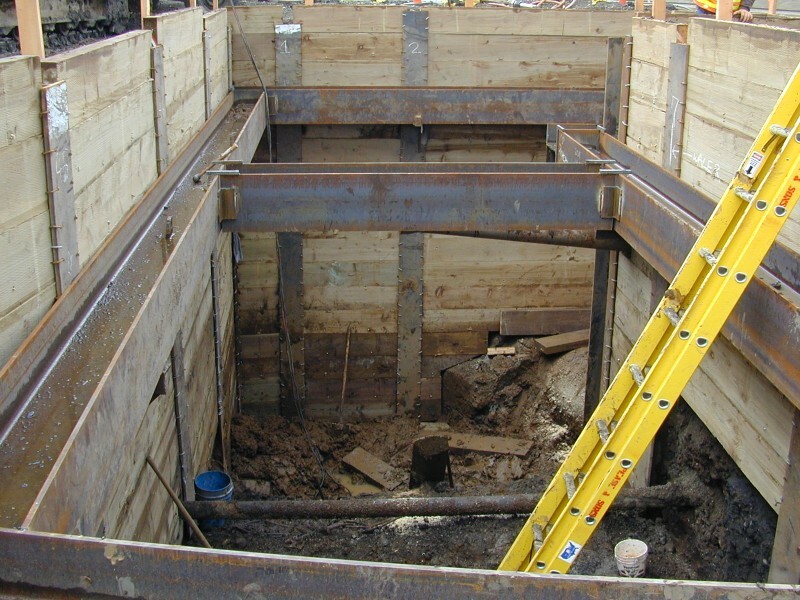 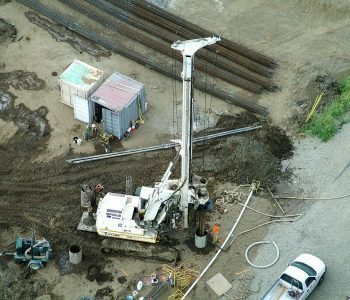 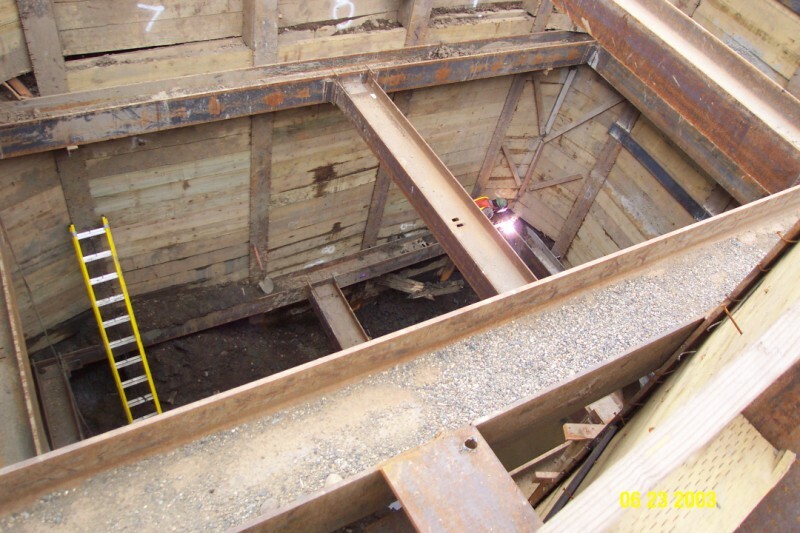 Included dewatering wells and drilled shaft foundations.